My Little Girl is Rad | For the Joy of Life. 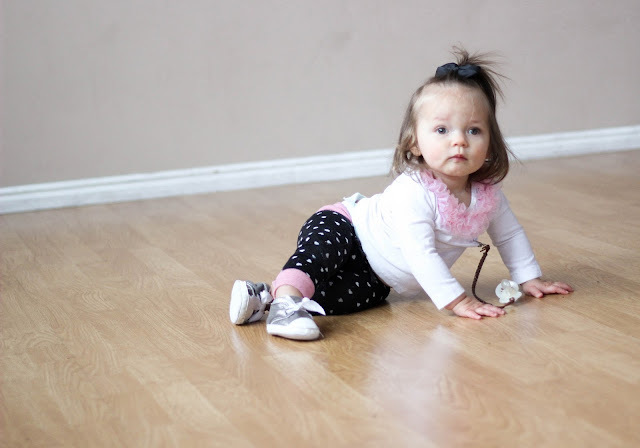 The other day I looked at Oaklyn and couldn't believe how big she has gotten. She's almost one year old and it's beyond me how quickly the time has passed. We decided to head up to our club house and look around the space to see what we had to work with for her first birthday party next month! The planning is in full swing over here and I am beyond excited about it! Oaklyn was having a blast in such a big, open space and crawled all over exploring every inch. I just kept watching her and laughing at how curious she is. It hit me pretty hard when she stood up all by herself, that she's just going to keep growing up, and there really, is no stopping her. I talk often about how hard the newborn stage was for me, but with every passing day, I find myself missing it more and more. She's not itty bitty anymore, and if the first year has gone by this fast, I can't even imagine how fast the next few years will go! someone got a little excited about her bunny, haha! As I was pondering all of these thoughts and snapping pictures, I observed every little part of her. The way she waddles when she walks along side things. The way her belly hangs when she sits up. The way she sticks her tongue out when I tell her to smile, ha! The way she laughs when I do something silly. The way she smiles at me making me feel like I could do no wrong in her mind. 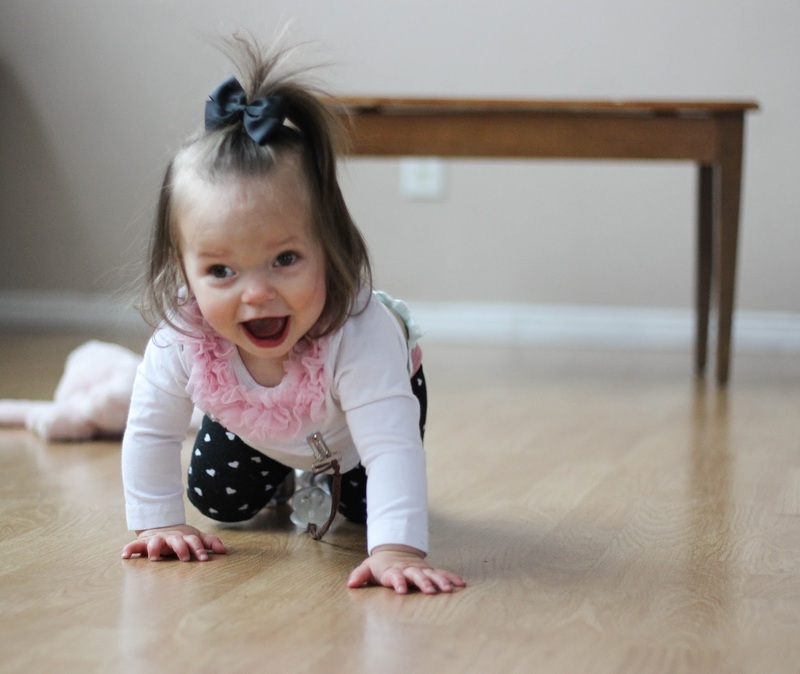 The way she fast crawls when she gets excited because something caught her eye. And, how absolutely beautiful she is. curious little thing found something that caught her eye! So yes, it is equally as sad as it is exciting that she is growing up. But, watching her grow up is just as rad as her joggers. I'm so thankful I get to be right here, always, to watch her and experience every new thing she does. She keeps me on my toes and has me cracking up more often than not! I love my little girl and her rad little personality. I'm obsessed with this little outfit. She looks like a little hip hop baby and I love it so much! The most amazing joggers ever are from Rad Revolution and I think they are just the cutest thing! I'm loving all the new prints and designs Mallory has in her shop and I just want them all in every size and color! I love the way these joggers fit and the quality. They are so soft and seem so comfortable yet stylish at the same time. I'm a huge fan of this brand and can't wait to get more of it! I especially want to try out one of these teething necklaces! Thanks Rad Revolution for the cutest pants my little Oaks owns! Use code: AJM for 15% off your purchase until the end of the month! 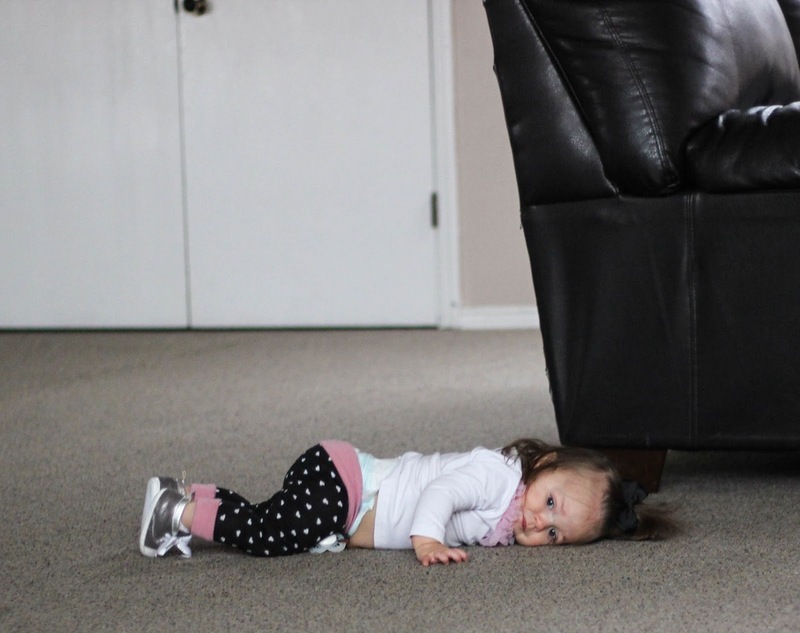 What's your favorite thing your little one does?